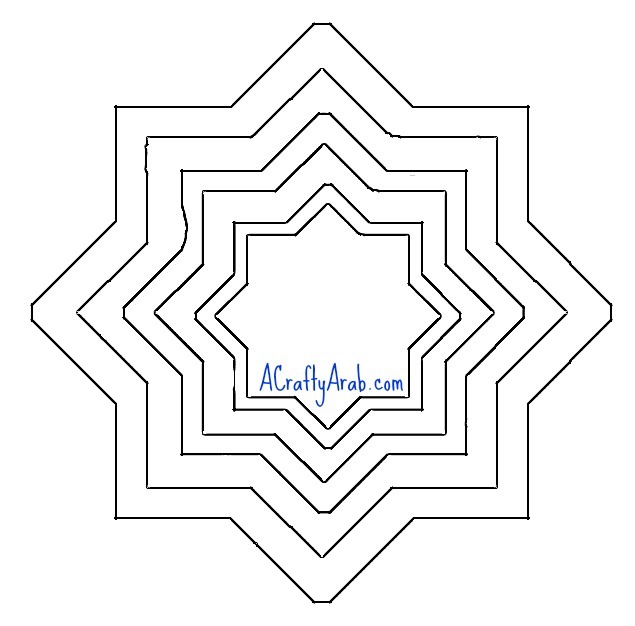 The eight pointed star, called a khatam in Arabic, is a common motif in Islamic architecture. 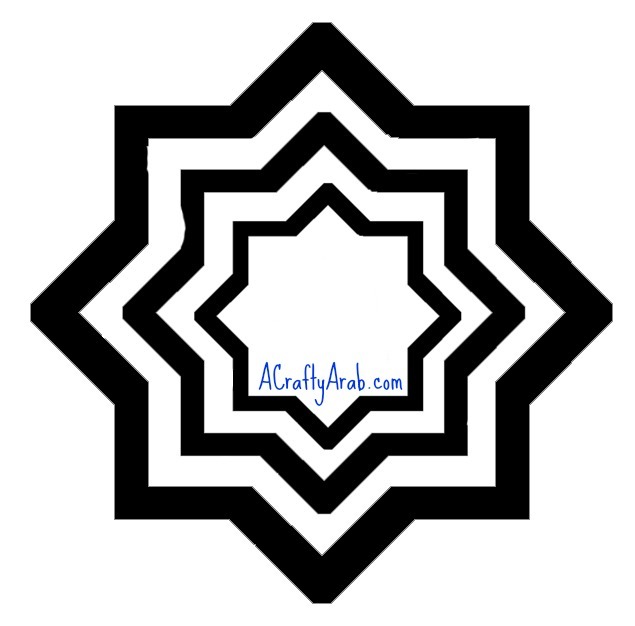 There is a fascinating website that explains about all the complexities of Islamic geometric designs and there is where I found the eight pointed star. Today we made this 8 point star mobile by taking the khatam shape and repeating it, smaller, over and over. This creates a nesting effect that we cut out and turned into a mobile. each other to come up with this nesting image. I then used a technique that I had talked about earlier to turn the thick lines into thinner lines so that the images won’t be black when they are printed out. I took the jpg and put it on my pretty 8 1/2 x 11 yellow and blue paper and my daughter cut out the lines. I made one size the full page, the next size at 75 percent and the final page at 50 percent. 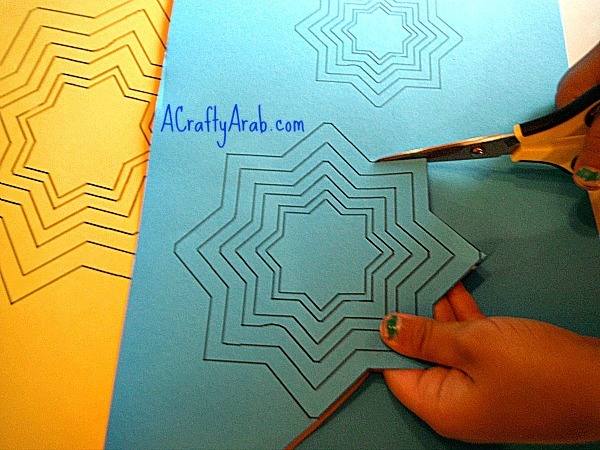 The inside lines might be hard to cut for little hands, so I helped a little with those. She then hole punched two holes, one on top of the other, on one of the points of each star. Note that we have a hole punch that makes holes a bit on the small size. You might want to invest in on of these sizes as we find ourselves using it all the time around here. Then we tied some string between each hole and connected all the stars to each other. 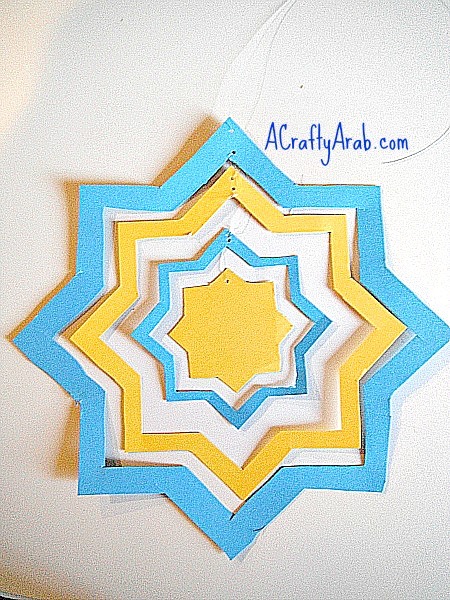 Your Ramadan decoration is done and ready to go up on the porch. 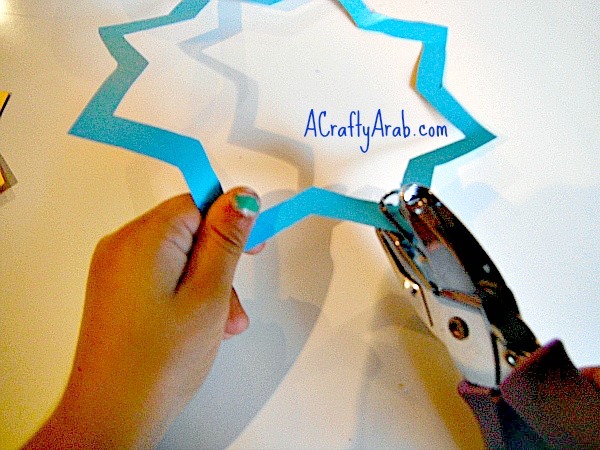 If you enjoyed making this mobile, please visit A Crafty Arab on Pinterest for more fun DIY craft tutorials.